At the crossroads between a beer and an icewine, the Myrcène de glace was frozen during the maturing phase to concentrate its aromas and flavours, simulating the effect of cold used to develop icewine. Unlike the Myrcène de glace and the previous beers in the Série Gastronomie series, the Myrcène de glace Brassin spécial is available in a 500 mL format. 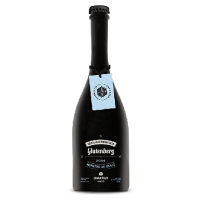 With a 10% alcohol content, this beer is a richer and more powerful version of its sister, the Myrcène de glace. Just like the two first beers in our Série Gastronomie, the Solérone d’automne was concocted with exquisite culinary creations in mind. It will be a great companion to recipes using ingredients of the same aromatic track as this autumn beer. Choose braised or slow-cooked meat dishes, such as a beef bourguignon (blend some chocolate into the sauce as a finishing touch! ), beef in beer, or pulled pork. You’ll be in for quite some aromatic harmony! The Impérial Sotolon was elaborated in collaboration with Chartier Créateur d’harmonies around sotolon, the same central aromatic component found in maple syrup. It was aged in old dark rum oak casks from Guyanan producer El Dorado. The aromatic path of the Impérial Sotolon revolves around maple, grilled buckwheat, roasted fenugreek, molasses and coffee. Saison Froide is a Belgian-inspired creation. Thoroughly fragrant, dry and refreshing, it was developed using ingredients dominated by “cold-tasting” aromatic components (molecules): Anethole, Estragole, Eugenol, Limonene. Fresh basil, Japanese Sansho pepper, Mexican blue agave syrup and Nelson Sauvin and Columbus Hops are part of its recipe. This beer will delight wine amateurs, and particularly Sauvignon blanc lovers, whose aromatic profile it resembles. 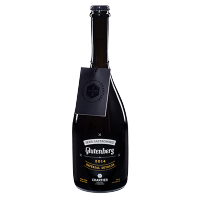 Quebec-based microbrewery Glutenberg and Chartier Créateur d’harmonies have formed a partnership to create the new Serie Gastronomie, an innovative range of gastronomic beers. 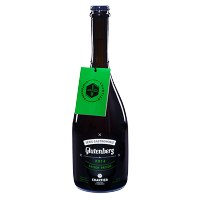 Designed to enhance culinary experiences and crafted based on the aromatic science of world-renowned sommelier François Chartier, Glutenberg’s Serie Gastronomie offers a selection of seasonal beers that makes it surprisingly easy to create harmonious beer and food pairings. 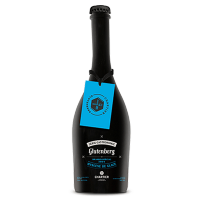 Inspired by the aromatic explorations of François Chartier and his international bestseller Taste Buds and Molecules, Glutenberg’s founders approached the famous sommelier to create a bold and ambitious partnership. 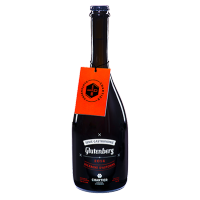 This new collaboration was an obvious one for the Créateur d’harmonies when he realized how Glutenberg was open to using unexpected ingredients, allowing him to apply his refined principles to beer. The limited-production Serie Gastronomie is 100% gluten-free and crafted for culinary lovers.